Congratulations to our Students who won second place in the State level Quiz Competition. On 27 October 2017, The National Engineering College, Kovilpatti organised a State Level Quiz for Higher Secondary Students. The Quiz master was the popular Cricket Commentator Dr. Sumanth C. Raman. Excitement filled the auditorium from the moment the quiz master started the quiz in a lively and interactive way. Many reputed schools from across the state participated in the competition. Twenty questions were asked in the preliminary round and the top eight scorers were invited to occupy the hot seat on the stage to play the grand Finale. 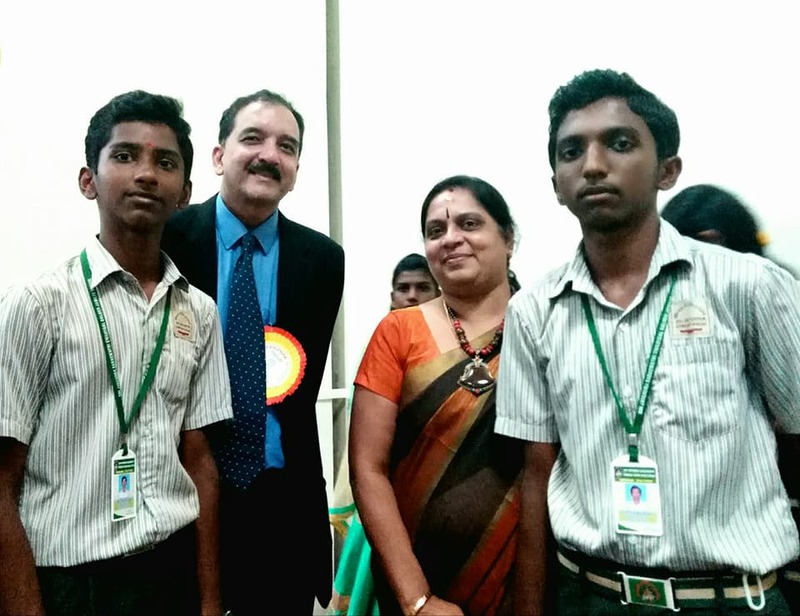 Our students V. Sri Siva Murugan and Jothi Ramalingam of class 11 were the toppers by scoring 16 out of 20 in the preliminary round. In the subsequent seven rounds our students performed very well but they lost first place by getting two questions wrong in the Buzzer round which earned minus marks. When the closely fought Finals were over, we were declared the First Runner Up. 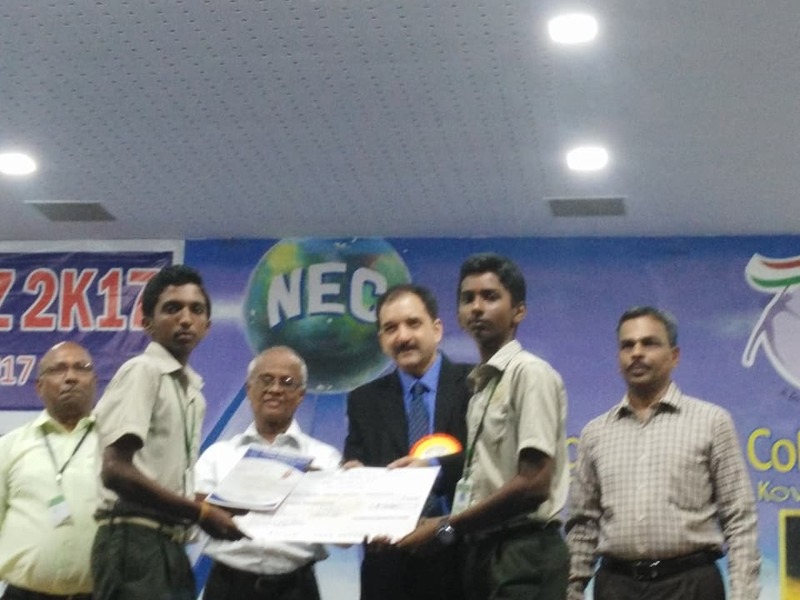 Our students were awarded a cash prize of Rs.15,000.